I would definitely recommend Daniel as an attorney. He was really attentive to all my needs and really owned the situation. He was careful to explain all my options and really answered all my questions thoroughly. He won my case for me but even if he hadn’t the care and attention he showed would definitely bring me back when his services are needed. 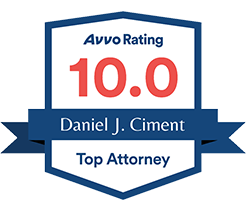 Look no further for a great attorney.